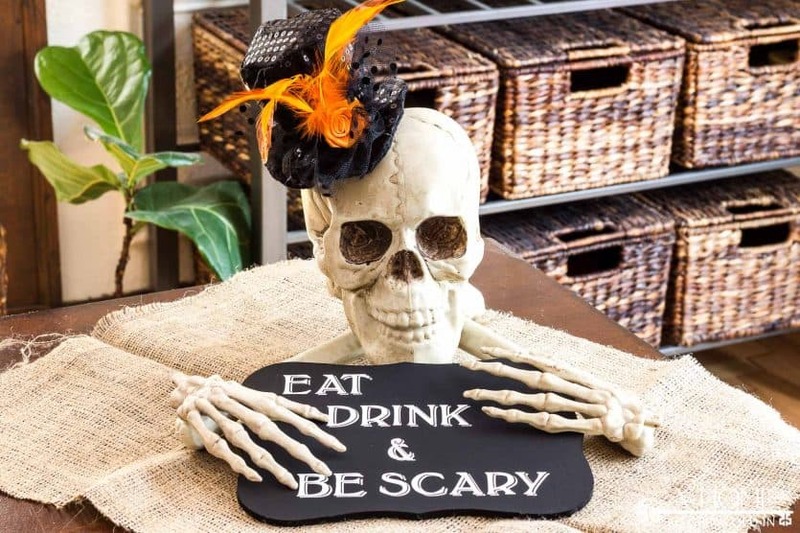 This easy Halloween party decoration will be the perfect centerpiece for your table at your next spooky gathering. 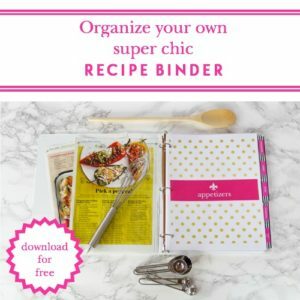 You won’t believe how simple it is to make! Hello, there! 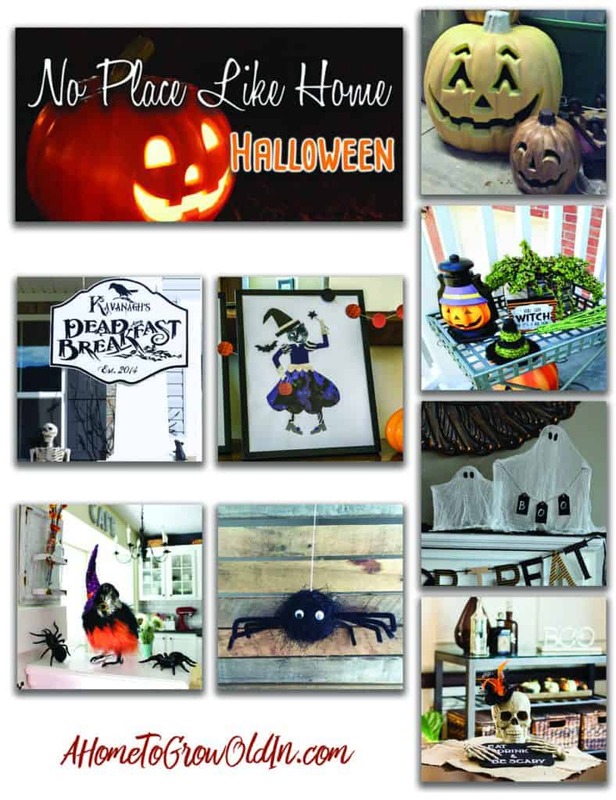 I’m back today with my 7 favorite bloggers to share this easy Halloween party decoration, along with all the major Halloween inspiration that they’ve come up with! 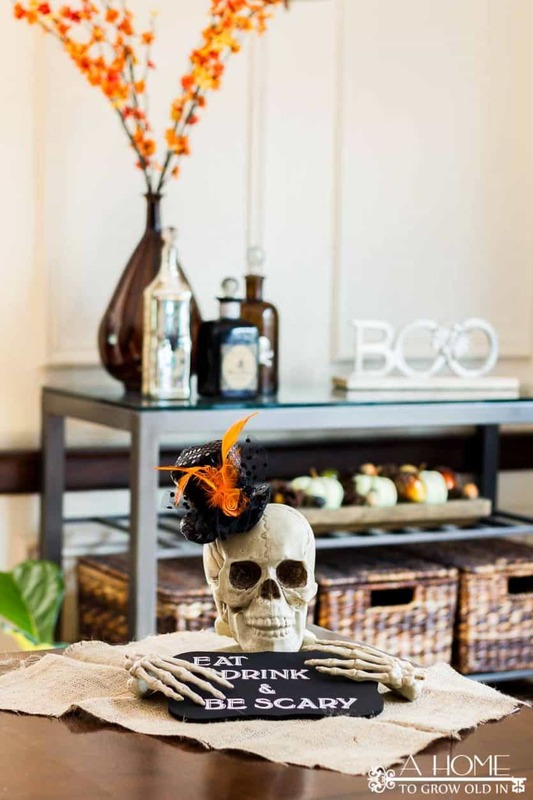 I loved looking at all of their fall home tours, and I can’t wait to see what kind of Halloween inspiration they’ve come up with this time! You can click on the image above, or the links at the end of this post, to head over to their sites. I’ve pushed some of my fall decor to the side this week to make some room for one of my favorite holidays! 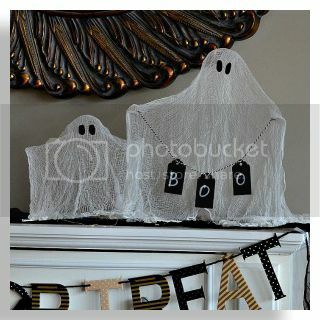 My Halloween decor is much more subdued this year than I’ve been in the past, but we have 2 October birthdays in our house, so I thought it would be fun to add a little something to our Halloween party decor. 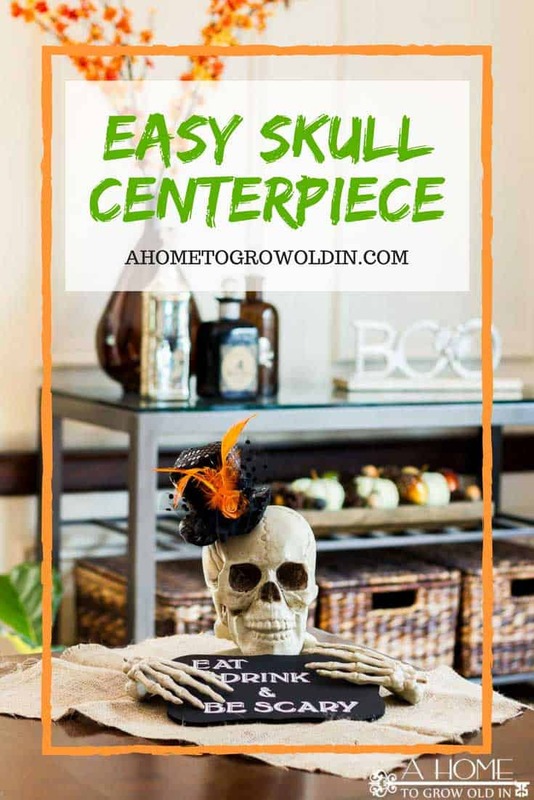 This skull centerpiece is so easy, and it’s perfect for a Halloween get-together! When I said this was easy, I meant EASY. Except for painting the sign, it’s just hot gluing some bones together! 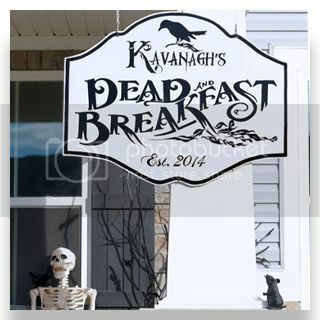 I painted the sign with black acrylic craft paint and applied vinyl letters I cut with my Silhouette Cameo. 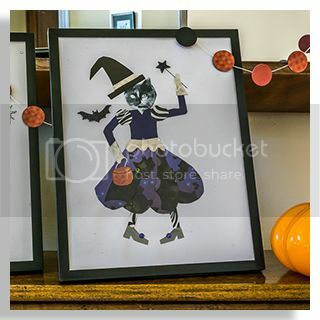 If you don’t have a Silhouette, I think this would look really cute handpainted on the wooden plaque in a messy, scary handwriting. It would be really easy to do, and it wouldn’t matter what your handwriting looked like. From the bag of bones, I used the 2 arm bones, hands, and the skull. 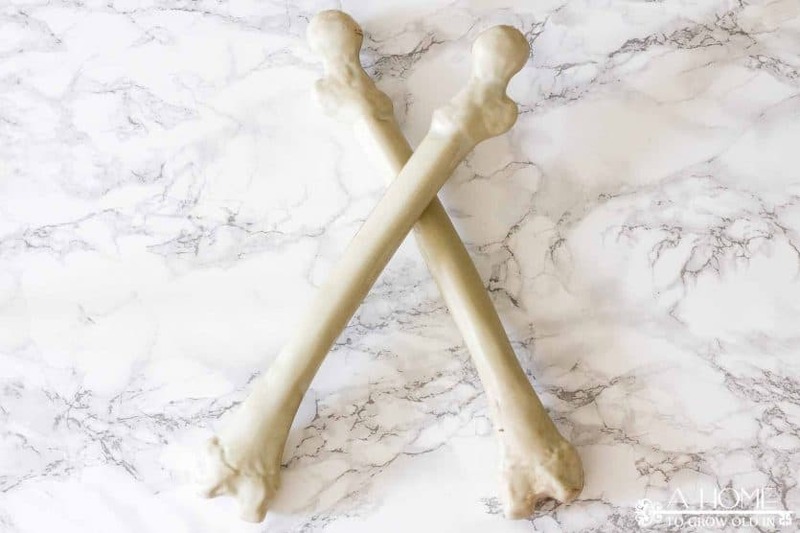 (Is it me, or is it weird to be talking about bones as a DIY project?) To start, I crossed over the arm bones and glued them at the connection. Then, I glued the skull on top of where the arm bones meet. Once the sign was done drying, I applied the letters I cut from vinyl with my Silhouette Cameo (or you can use pre-cut letters). I glued it to the arm bones, and then glued the hands to the sign, aligning them with the ends of the arm bones. The last thing I did was to pull the hat off of the headband that it came on, and glue it onto the skull. Here’s a look from the side to help you see how everything is stacked up. 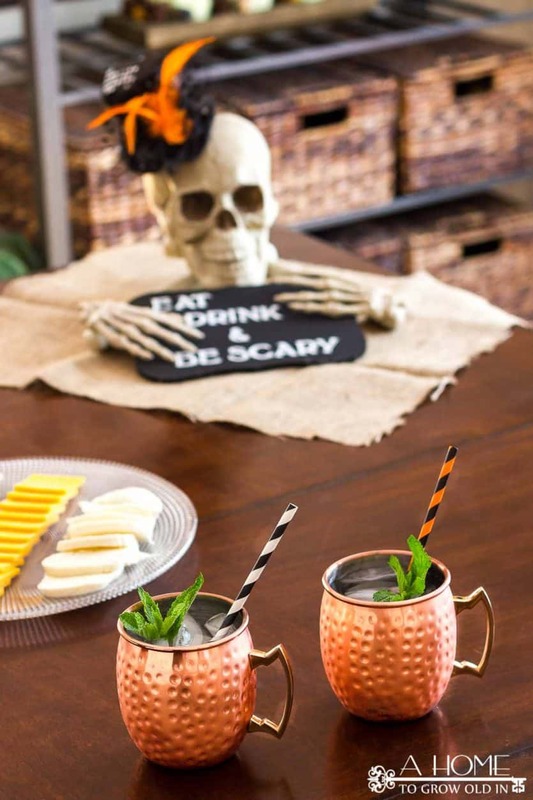 Once you’re done, you just need to make yourself a festive fall cocktail, and it’s party time! Don’t forget to check out the other spooky projects being shared today! 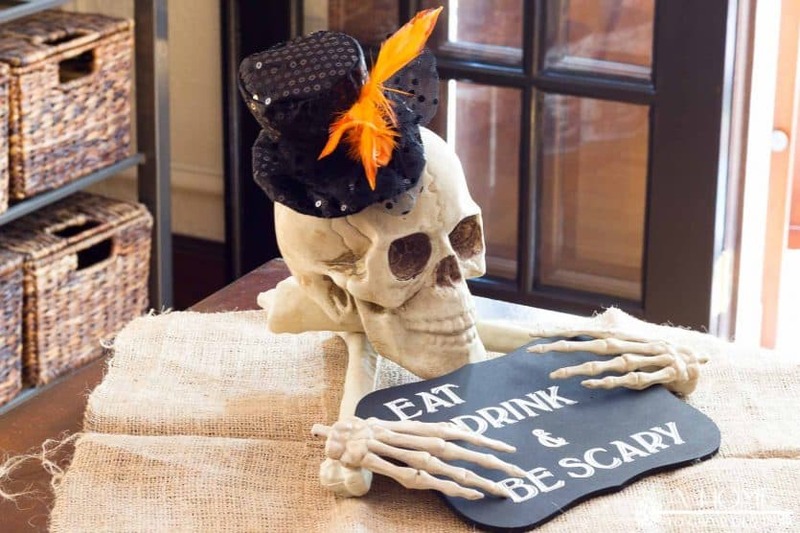 You’re sure to find lots of Halloween inspiration from this group of ladies. 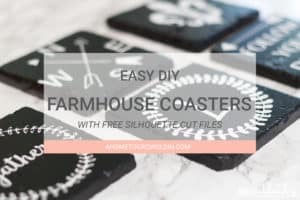 If you have a moment, I’d love for you to pin this for me! Robin, this is such a great idea!! And its sooooo cute with the hat! This would be perfect to set by the food at a party. This is so cool, Robin! 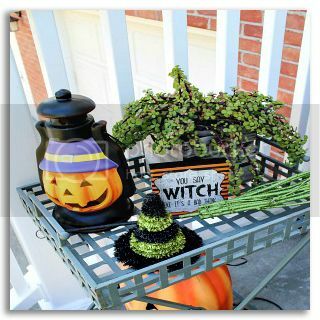 The perfect centerpiece for a spooky Halloween! 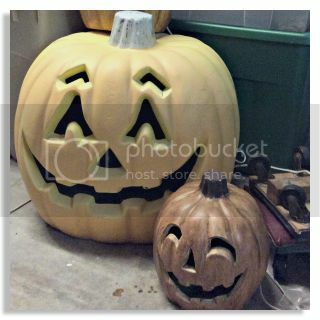 Pinned to Fall Decor! 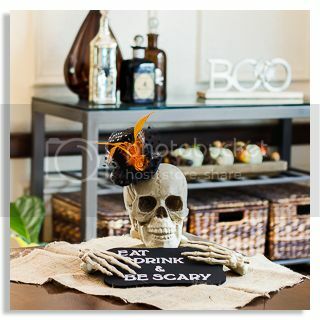 What a great way to dress up a halloween table. 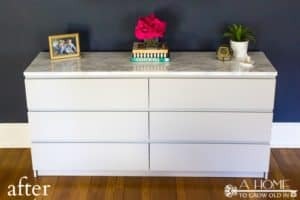 Can’t believe how easy it was…and how great it looks! Even I could do that…I think!!! The hat is the perfect touch! 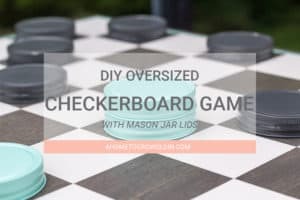 This is a fun project! Love the bar in the background and the snazzy hat is just perfect. I love this so much! 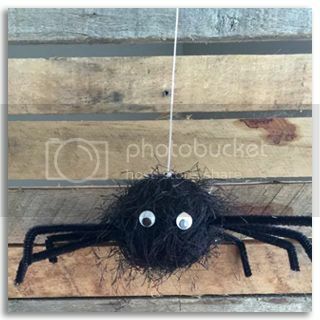 It would be a great centerpiece on my table this Halloween! Great job! Perfect centerpiece! He’s quite the character, isn’t he. Do your boys love him? And i”m inching closer and closer to that Silhouette…this sign is another nudge closer. Wishing you a wonderful weekend my friend. 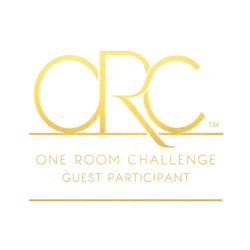 Robin, this is such an adorable and fun idea. I really love the hat on it! Oh my goodness, Robin, this is so cute!! 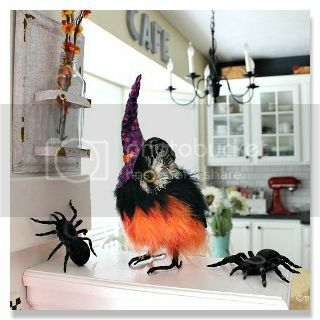 I love Halloween decor! I love your bones centerpiece. I have been working on Halloween decoration too, it’s just too much fun to decorate for Halloween 🙂 Thanks for sharing at the Wednesday Showcase party. Pinned! thats really scary that put my soul out ,, well going to get this for my wife on this Halloween!